Edelbrock’ Performer-Plus lifter sets are designed for use with Edelbrock Performer-Plus or equivalent camshafts. Performer-RPM and Torker-Plus lifter sets are designed for use with Edelbrock Performer-RPM and Torker-Plus or equivalent camshafts. Sold in complete sets. Edelbrock’s high performance hydraulic roller lifters for small-block Chevy, big-block Chevy and small-block Ford are the perfect match for street and high performance applications. 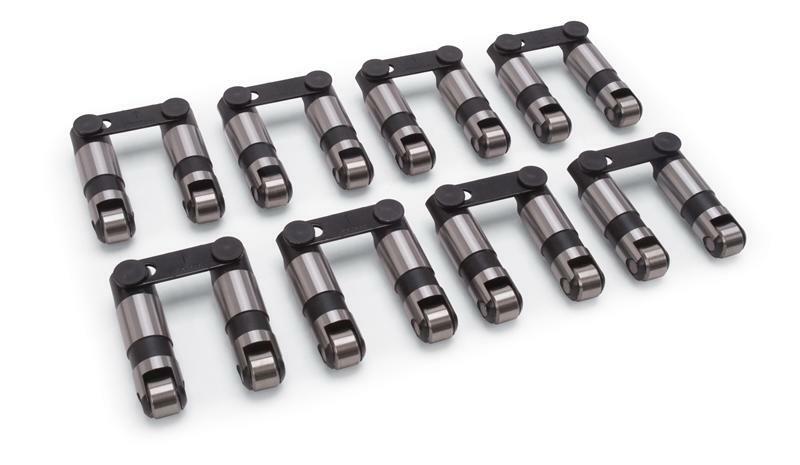 With unsurpassed tolerance capable of high rpm power, these precision self-aligning retro-fit hydraulic roller lifters are designed for use in early model non-roller engine blocks originally equipped with conventional lifters. Sold in complete sets. This kit provides the necessary components to install replacement hydraulic roller lifters in a 1987 and later S/B Chevrolet. Includes original-spec lifter guides and hold down spider.